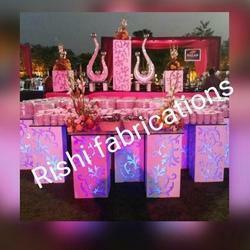 We are acknowledged as a premier company in offering a vast assortment of Acrylic Catering Mocktail Piller. 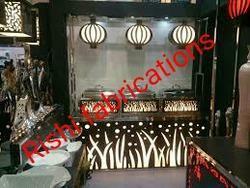 The entire range is fabricated according to the specifications provided by our patrons to meet the multiple requirements of them. Additionally, these Cool Drink Counters are fabricated using excellent grade material and prominent technology to offer a defect free collection to the clients. 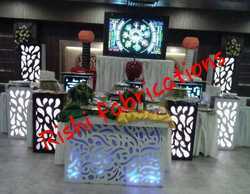 Acrylic Display Catering Counter. The offered Acrylic Display Catering Counter is a unique fabrication for displaying the food items kept inside utensils. Our supplied Acrylic Display Catering Counter is made from superior grade acrylic polymer which ensures longer serviceability and durability.